9 acre horse farm with plenty more space to ride. Home is one big open space with kitchen, bathroom and fireplace. Lower level is a 4 stall barn with 2 tack rooms with room for a couple of cars or 4 wheelers accessed by garage door and one big sliding door. Pond on the property with a stream to the side. This is must see for horse lovers. Also includes pin #7661-34-1170. 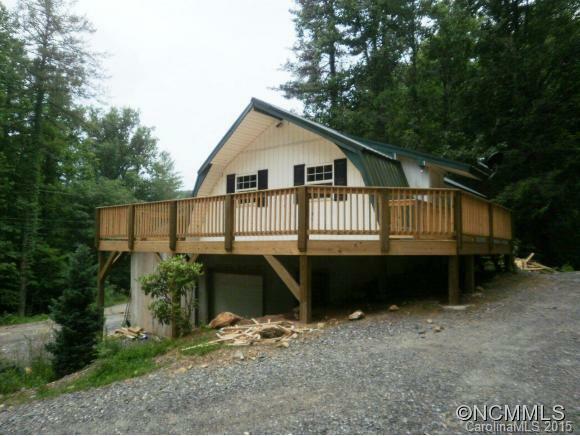 Buy additional 20 acres at the top of the mountain at 4100 ft. elevation which backs up to National Park. Sold by Rob Roland Realty.